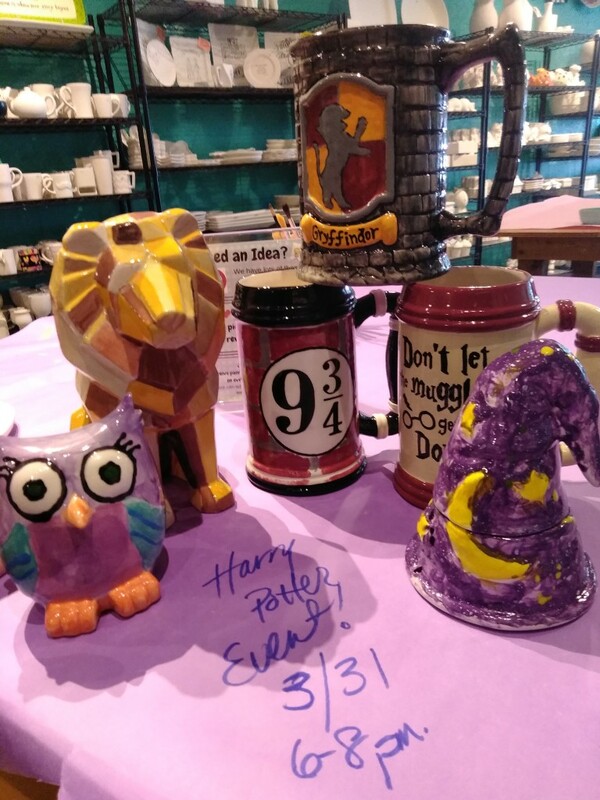 Come paint Harry Potter themed pottery pieces while enjoying some Butterbeer and other wicked good snacks. We will also have Harry Potter trivia for fun and prizes. Costumes, wizards of all ages, and muggles are welcome! For this event, we will also be offering a special painting package: One small awesome wizard, one very wise owl and one perfect wand that will choose you. $40 for all three.